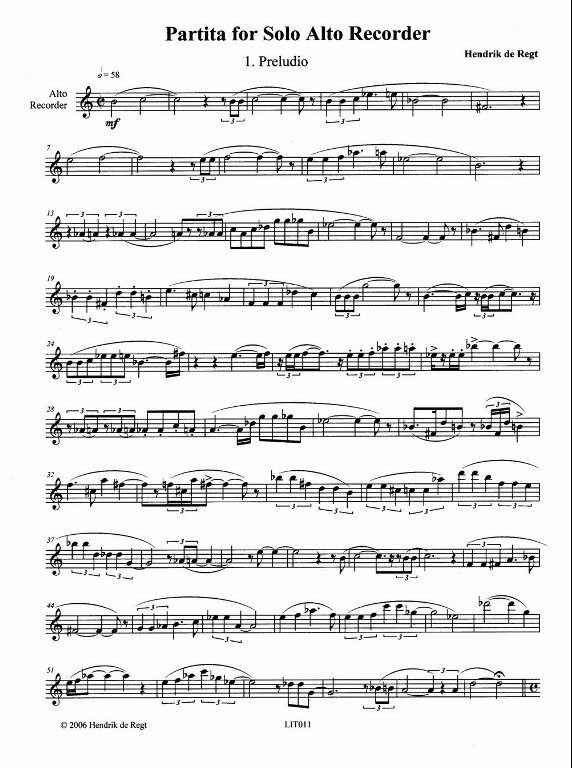 Contemporary music for the recorder by the prolific Netherlands composer, Hendrik de Regt. Modern tonality, but no extended techniques. Very attractive. Reviewed by Bernadette Pollen in BLOKFLUITIST, May 2009.